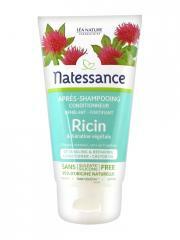 Natessance Conditioner Castor Oil 150ml completes the action of shampoo for shiny and radiant of health hair. Natural hair product of high quality, this conditioner combines castor oil and plant-derived keratin, leading active ingredients known for their cosmetic properties. - the castor oil is used for a long time for its protective, repairing, sublimating properties. 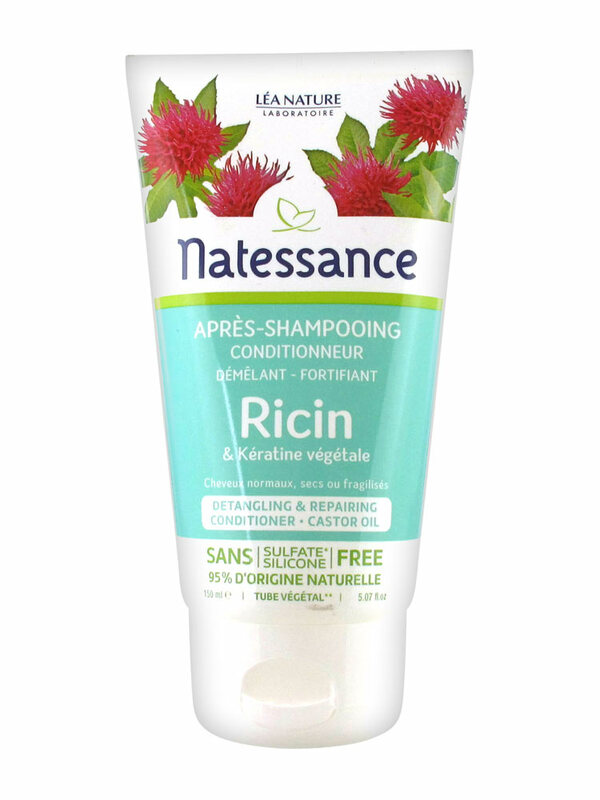 - the plant-derived keratin, is known to revitalize and strengthen the sensation of hair hydration. After the rinse, the hair is soft, shiny and easy to detangle up to the ends. Sulfate-free, paraben-free, silicone-free. Dermatologically tested. After the shampoo, apply a small amount of product on the whole hair, rinse and detangling up to the ends. Indication: Detangling fortifying care for normal, dry or fragilized hair. Aqua (Water), Cetearyl Alcohol, Glycerin, Ricinus Communis (Castor Seed) Oil, Cetrimonium Chloride, Cocos Nucifera (Coconut) Oil, Inulin, Coco-Caprylate, Parfum (Fragrance), Benzyl Alcohol, Cetearyl Glucoside, Hydroxypropyl Guar Hydroxypropyltrimonium Chloride, Limonene, Hexyl Cinnamal, Lactic Acid, Linalool, Tocopherol, Helianthus Annuus (Sunflower) Seed Oil, Hydrolyzed Corn Protein, Hydrolyzed Soy Protein, Hydrolyzed Wheat Protein, Dehydroacetic Acid.